What is the Coimbra Protocol? Is it only about high doses of vitamin D3? 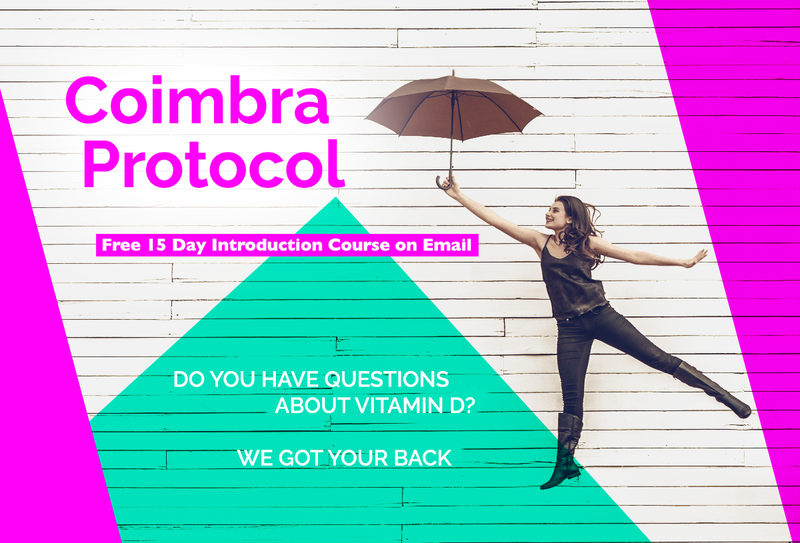 To get started on the Coimbra Protocol and get answers to a “million questions” about Vitamin D3, Calcium restricted diet, Magnesium, Supplements, Exercise and everything that is important to know. The Coimbra Protocol is known to treat auto immune disorders such as Multiple Sclerosis (all types of MS), Arthritis Rheumatoid, Lupus, Lyme, Alopecia, Bronchitis, Charcot-Marie-Tooth, Depression, Atopic Depression, Crohn’s Disease, Endometriosis, Fibromyalgia, Hypertension, Infertility, Psoriasis, Ménière Syndromes, ADEM Syndromes, Sjögren, Vitiligo, Endometriosis and many others. Take this 15 Day Introduction Email Course and get the knowledge you need to get started. What is the Coimbra Protocol? Is it only about high doses of vitamin D3? Take this free course and get answers to a “million questions” about Vitamin D3, Calcium restricted diet, Magnesium, Supplements, Exercise and everything that is important to know. Starting on the Coimbra Protocol but don't know what to eat? I’m preparing a book with my go-to recipes, info and best tips. Sign up to the waiting list and know what to eat!